1) What is SEVEN STONES TO STAND OR FALL? 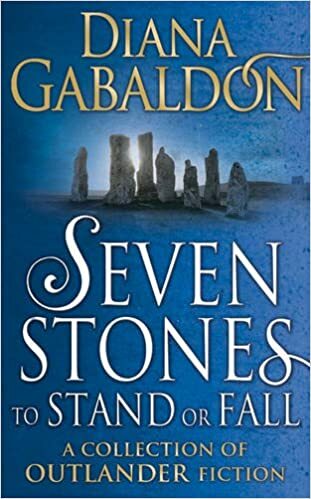 SEVEN STONES TO STAND OR FALL is a collection of seven stories by Diana Gabaldon that was published in the US and Canada on June 27, 2017. Five of these stories have been previously published in anthologies or as standalone e-books, but two of the stories are brand new. 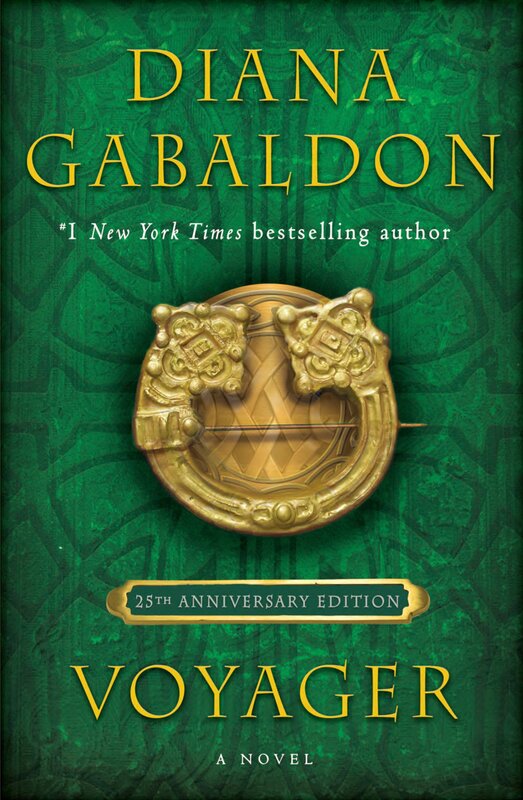 Diana Gabaldon described it as "a collection of novellas and short stories, all of which deal with people from the Outlander universe." 2) Which stories are included in this collection? The brief descriptions below were written by Diana Gabaldon. Lord John – electric eels and the Battle of Quebec. The story of Roger MacKenzie’s parents in WWII. This one will make you cry. Lord John ends up unexpectedly as the military governor of Jamaica when the original governor is gnawed by what probably wasn’t a giant rat. In which the Comte St. Germain is not dead after all, and a widowed young wine dealer ends up escorting a would-be novice to a convent in Paris. Oh, yes, and Master Raymond’s in it, too. The story of Hal Grey (Lord John’s elder brother) and his not-yet-wife, Minerva, a 17-year-old dealer in rare books, theft, forgery and blackmail. This one is brand-new, and the longest of the batch, at 50,000 words. Pretty much a short novel by itself. Lord John is informed that his mother is in Havana. This would be fine, save that the British Navy is on its way to lay siege to the city. Also never before published. 3) Where can I find this book? SEVEN STONES TO STAND OR FALL is available in hardcover and e-book format. You can order from Amazon or Barnes & Noble. The trade paperback (large size paperback) was published in the US on August 7, 2018. 4) I live outside the US. How can I get a copy of this book? The UK edition of SEVEN STONES TO STAND OR FALL (pictured above) is available here. 5) What does the title mean? 6) How can I get an autographed copy of this book? You can order an autographed copy of SEVEN STONES TO STAND OR FALL from the Poisoned Pen bookstore in Arizona. 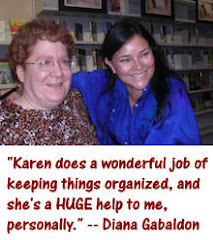 This is Diana Gabaldon's local independent bookstore, and they ship all over the world. 7) I already have some of these stories in print and/or e-book format. Why are they being re-published now? The answer to that question is complicated, and I would really encourage you to read through Diana Gabaldon's detailed explanation, posted on Facebook on January 27, 2017. 8) Will the two new stories, "A Fugitive Green" and "Besieged", be available as standalone e-books? Not at this time. 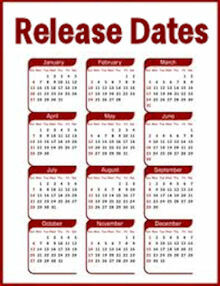 It's possible that they may be released as standalone e-books at some point in the future, but I have no information on when that might happen. For now, the only way to read these two new stories is in SEVEN STONES TO STAND OR FALL. 9) What about audio versions? 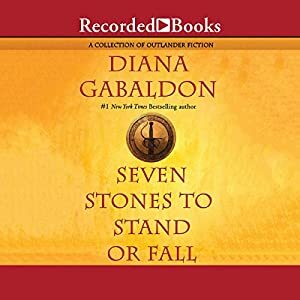 The audio version of SEVEN STONES TO STAND OR FALL, containing all seven stories, is available at Audible.com. 10) What about Book 9? In case you're wondering, yes, of course Diana is still working on GO TELL THE BEES THAT I AM GONE, Book 9 of the OUTLANDER series! Keep in mind that it takes her 3-4 years to write one of the Big Books, and as she said recently on Facebook, "it’s not anywhere near finished". The fact that Diana has two new stories in this collection is not slowing down or delaying her progress on Book 9. She often says that she likes to work on multiple projects at once, because it keeps her from getting writer's block. 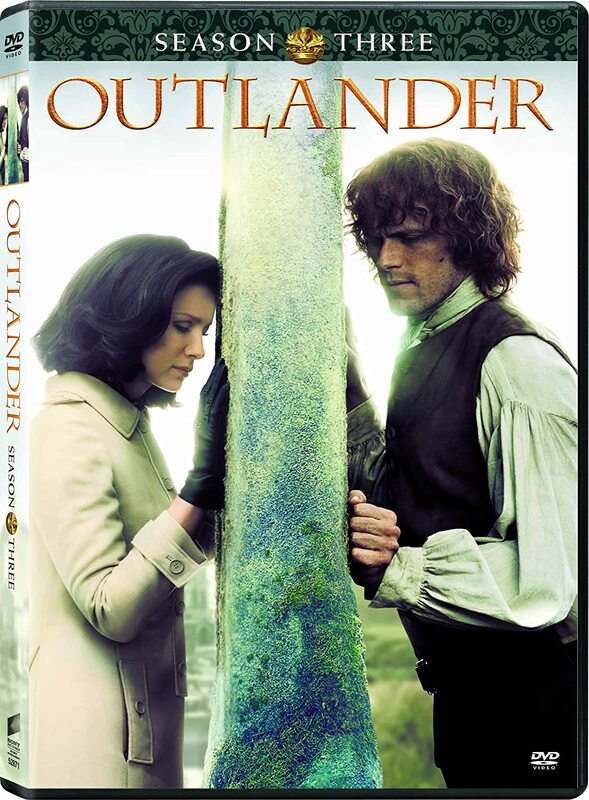 Hi Karen am looking forward to reading this until the new Outlander book comes out , please post more soon. Sincerley. Hi Karen this will be very exciting to read both new and older stories from Diana this year and just put in my pre-order , am looking forward to reading this during the summer of 2017, please post more , love your Blog, sincerely. Is there any difference between the US version and the UK version, aside from the cover art? Val - Diana says no, only the covers are different. Hi, Is there a known reason the Audio book is only available in the US? Or at least it's not available from Australia, without having a US bank account, from Audible. I've already bought the book here I just want the audiobook for driving. This is a spoilerish question, so if you've not read Plague of Zombies or the story about Cuba, beware! In both stories Lord John says he's not married, and in the second story his mother mentions him never having married. But both stories take place after his appointment as Governor of Jamaica, at which point he IS married according to the Big Books. Has Gabaldon explained this discrepancy? I'm not one of her Professional Nit-Pickers, but this is kind of a big deal, in my opinion. Anyone have any info on this? I have not read the Cuba story yet, but Plague of Zombies is BEFORE John is appointed governor. It sets the stage for why he was appointed, as he already had some experience of the region. “A Plague of Zombies” (novella)— Set in 1761, in Jamaica, when Lord John is sent in command of a battalion to put down a slave rebellion and discovers a hitherto unsuspected affinity for snakes, cockroaches, and zombies. So it was set in 1761. Voyager starts in 1766, and it is in that book that John becomes governor.